The Pinarello Montello SLX was a landmark model for Pinarello and is for sure one of the best racing machine which ever left Giovanni Pinarello’s factory in Treviso, Italy. 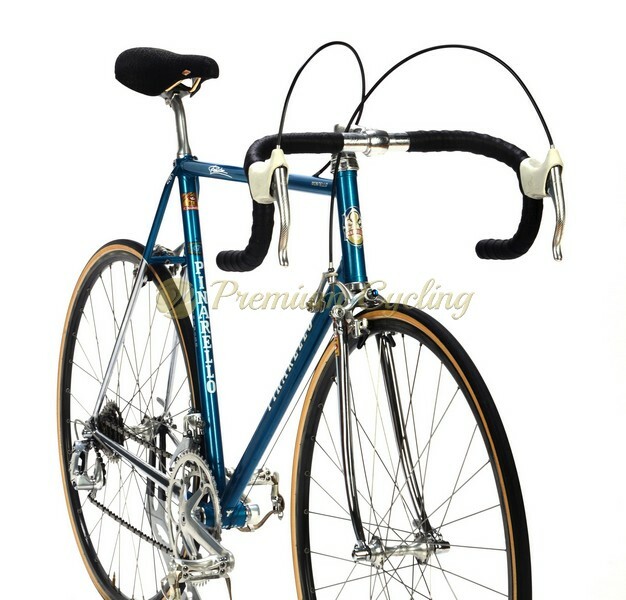 The ”Montello SLX” was their top model in years 1984-’88 and basically the frame with which Pinarello started to dominate on cycling races around the globe. In mid 1980s Montello SLX achieved many important victories such as the 1984 Olympics Road Race, Vuelta a España, the Giro d’Italia and stages of the Tour de France. 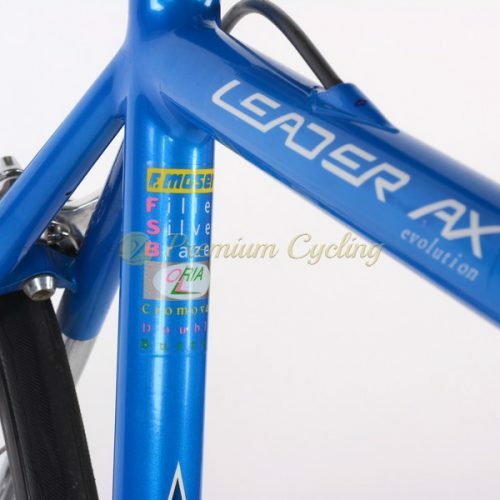 Superb frameset is made of high end Columbus SLX butted tubing with Pinarello’s special designed bottom bracket. It’s easy to detect beautiful ”GPT” engravings on the top of the fork crown and seat stay Pinarello logo appeared in many locations like lugs and bottom bracket and rear brake bridge. Famous Pinarello head badge on headtube makes it looking perfectly. Proudly presenting this superb racing machine – Pinarello Montello SLX, which dates back to 1985. The cherry on top is extremelly rare Campagnolo C Record 1st generation groupset. The cherry on top is the combination of metalic ‘Spumoni’ paintjob and Campagnolo Cobalto brakes on one side and chromed components on the other side. For all Pinarello lovers. Great catch for any collector. Probably one of the fastest L’Eroica approved bikes. Condition: Used, but very good condition. The frame has no cracks, no dents and is not bend. Some signs of normal use. Original paint and decals. Groupset and wheelset are in excellent condition.